JFH News: KB Launches Second New Single "Crowns & Thorns (Oceans)"
KB'S HIGHLY ANTICIPATED ALBUM TOMORROW WE LIVE AVAILABLE FOR PRE-ORDER TODAY AND LAUNCHES SECOND SINGLE "CROWNS & THORNS (OCEANS)"
Atlanta, GA (March 10, 2015)--Reach Records has officially launched the pre-order for KB's highly anticipated album, Tomorrow We Live, which releases nationwide on April 21. Available on iTunes, Amazon and Google Play, when fans pre-order the album, they will receive an immediate download of "Sideways feat. 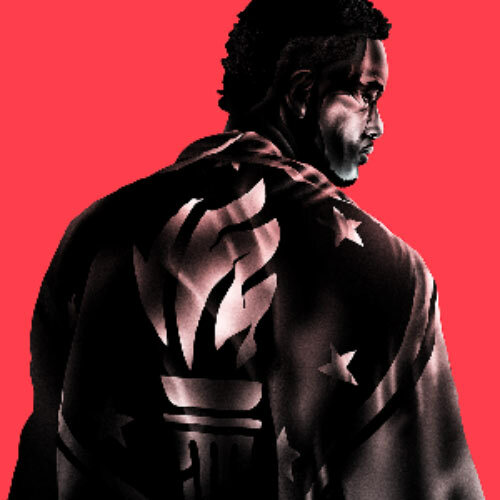 Lecrae" and his brand new second single "Crowns & Thorns (Oceans)". Prior to the pre-order roll out, some lucky music lovers in Houston, TX were able to listen to the album in its entirety for the first time over the weekend. Fans gathered together on the Houston Baptist University campus last Saturday, and heard from the Dove Award-winning rapper himself. He opened up about the personal songs that stemmed from his own life, and blasted them through the speakers of a luxurious Rolls Royce, giving them the ultimate listening experience. KB's first two singles "Sideways feat. Lecrae" and "Crowns & Thorns (Oceans)" are currently making its way to DJs' playlists around the country. Produced by team 'Cobra' and written by Kevin Burgess, Lecrae Moore, Jamal James, Chris Mackey and Joseph Prielozny, "Sideways feat. Lecrae" and "Crowns & Thorns (Oceans)" are two of 14 tracks, all co-written by KB, on Tomorrow We Live. The rapper hopes the project will be a soundtrack of inspiration, letting listeners know that the battle will end and Tomorrow We Live. See full tracklisting below. For more information on KB and the new album, please visit www.whoiskb.com. KB has a history of success with his previous EP "100" landing the No. 1 spot on Billboard's Christian Album Chart, No. 4 on Billboard's Rap Chart and No. 22 on Billboard's coveted Top 200 Album Chart. Additionally, he took home his first Dove Award last year, winning "Rap/Hip-Hop Song of the Year" for the title track, "100," and has been a Recording Academy featured artist on Grammy.com. He has received critical acclaim from his peers and media such as Billboard Magazine and The Blaze, and has toured nationally with Tenth Avenue North and several top Reach Records artists. KB is currently touring with Trip Lee for the "Rise Tour."